Electronic Music , over the past decade , has witnessed a steady rise in followers in Asia and Music festivals have hence been hosting some of the biggest names in the industry , thereby attracting huge crowds. Two such Asian destinations , known to host some amazing festivals include Singapore and Thailand . So here are some music festivals that we believe you ought to know about in Singapore and Thailand , set to take place this year. A 3-day festival set to take place from 14 to 17 December 2017 , Wonderfruit Festival , stands by its motto of ‘Live. Love. Wonder’. It is held at the beautiful fields of Siam Country Club in Pattaya and is a celebration of art and music at its finest . Asia’s largest dance music festival on a beach , Zoukout , definetly lives up to the hype . 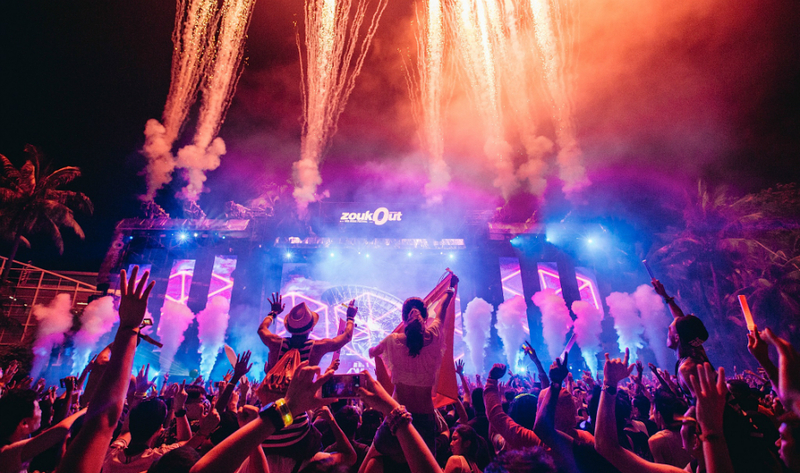 Curated by the owners of the popular nightclub chain , Zouk , the festival features some of the biggest names in the industry , including Hardwell , Dillon Francis , Alan Walker and a whole lot more. 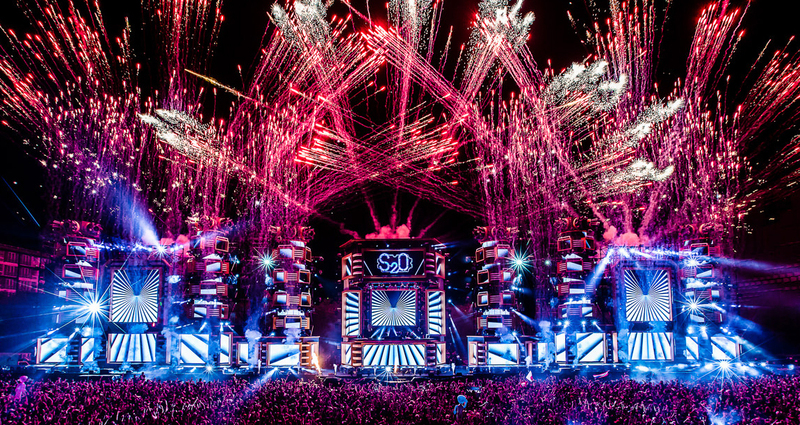 Ultra Music Festival , needs no introduction and in order to build up the excitement to its ever so extravagant final edition at Miami , Ultra hosts satellite editions around the world and one of their picks from South East Asia includes a city with an incredible nightlife , Bangkok. The biggest electronic music festival is set to host its second edition at the island city , Singapore on the 10 , 11 of June . The event will feature the likes of KSHMR , Don Diablo , Hardwell , Tiesto , Nicky Romero and a whole lot more. The ‘MS Mariner of the Seas’ a luxurious cruise from The Royal Caribbean International which plays host to Asia’s Largest Festival on the sea , IT’S THE SHIP . As the cruise sets sail from Singapore to Langkawi, Malaysia , it features over 30 international acts, thus promising to be one amazing journey. Maya Music Festival is a rather new addition to the music festival scene in Thailand , but it surely ranks among the top , for it hosts some big names in the industry . Yet another music festival at the seas , SHIPSOMNIA is an immersive art and musical adventure . Setting sail from Singapore to Phuket, this festival provides you a vacation like no other . The Thai Lunar New Year is probably one of the best times to visit Thailand , for as part of the celebrations , apart from the fun-fare , a common custom has locals spraying each other with water with the belief of washing way the sins from the previous year. The music festival thus is a perfect way to celebrate and is surely one to add to you bucket list . 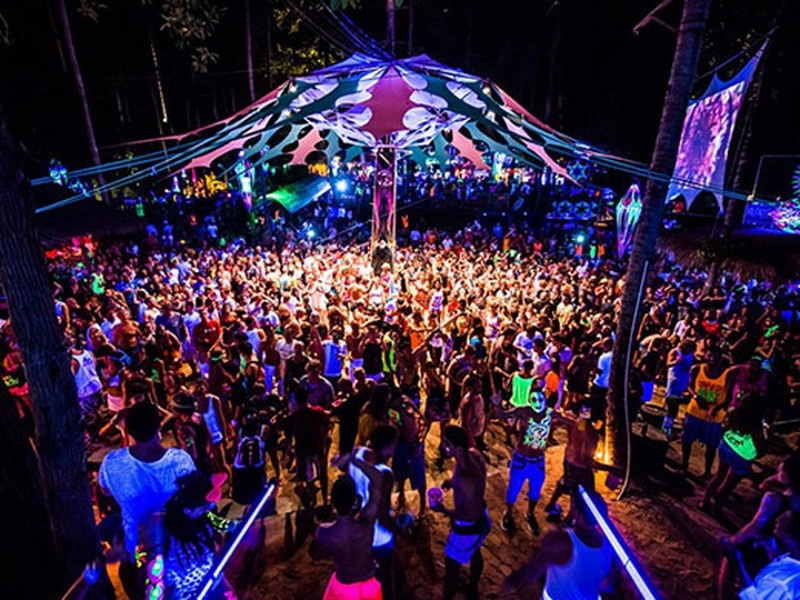 What started off as a low key gathering to celebrate the Full Moon night some years back , now attracts close to 30,000 people every year at the party island of Koh Phangan. Starting at dusk , revelers gather on the beach and dance to a range of genres of as well as partake in various other fun activities . Another massive dance music festival on the beach , WARP , returns with its 3 Episode ” Survivor of Saturn ” . The festival is set to take place on 19th and 20th of May . Other festivals to also lookout for include Neon Lights (Singapore) , Laneway’s (Singapore) and Baybeats Festival (Singapore). With several spectacular festivals like 808 ( Thailand ) , Transmission (Thailand) and Mystic Valley (Thailand) already done for the year , make sure you don’t miss out on at least one of the above mentioned festivals if you plan on visiting the respective cities.